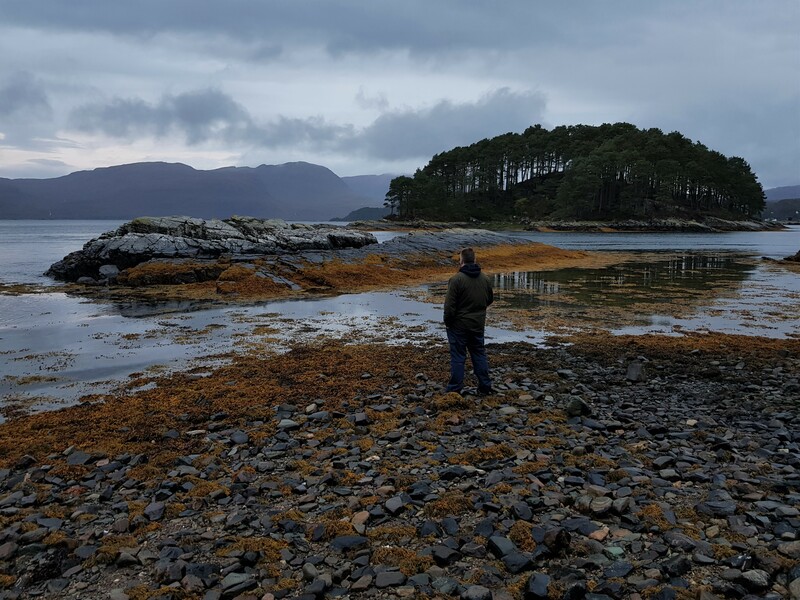 On the way back down from our adventures in the Orkney Islands, we’ve had several nights in a rustic lodge near Plockton. Plockton is a gorgeous village where The Wicker Man and Hamish Macbeth was filmed and overlooks Loch Carron. 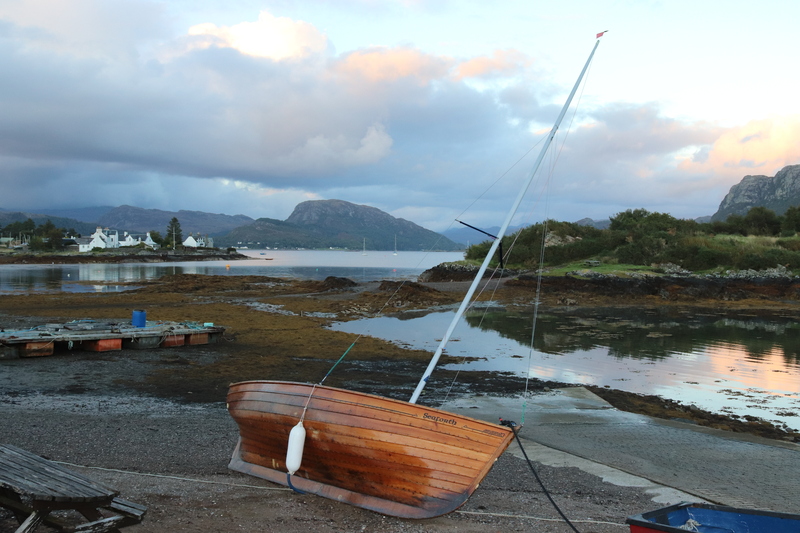 Our lodge is on a secluded farm west of Plockton and the views are to die for. We’re based at Craig Highland Farm to get away from it all. The place we are stopping has no TV, no mobile signal, a self enforced digital detox. It’s stunningly quiet and night time gives a fantastically dark sky with the Milky Way clearly visible overhead. It’s also a great place to explore the Isle of Skye. Visitors to Skye are naturally drawn to its landscape, the sharp ridges of the Black Cuillin mountains, Trotternish and Quiraing and it reminds me of the rock formations and landscapes of Iceland. Who can blame the visitors coming here, after all, Skye is gorgeous and its also pretty popular with the tourist hordes that descend on Sky to leave their mark, and they certainly do leave their mark. A walk to the Fairy Pools will never be in seclusion with paths and grass worn away by the thousands of footprints left from the day. The tourists are not the only ones to leave their mark, so did the dinosaurs, and the one of the main reasons for our visit to is to go dinosaur hunting, walking in the footsteps of dinosaurs on the Isle of Skye. Our last journey here dinosaur hunting wasn’t that successful, attacked by midgies on a very wet and misty day and trying to convince ourselves we’d found the famed footprints on An Corran beach at Staffin Bay. Fossils are best found in dryer conditions but Skye isn’t exactly known for its rain free climate, beaches are known for having bodies of water… but today we seem relatively lucky as the sun is out. Plockton. The place of Summerisle in The Wicker Man was filmed here. Returning back to Staffin Bay, the last time we came here it was deserted, this time there a few visitors each with their head down looking for the dinosaur footprints. Lord Nelson remains uninterested in the beasts, and wees quite possibly in the footprints of a beast that wandered past millions of years ago. Eventually we were advised by someone to go and see the newly discovered footprints at Duntulm where they were much more noticeable and giving us very specific instruction on where to find them. Heading past the Trotternish Ridge, finally seeing the Old Man of Storr and the rock formations of Quiraing, we ahead to Duntulm. Most visitors to Duntulm will head to the castle, the viking stronghold, but wont look to the unremarkable looking beach area to their left. 170 million years ago during the Middle Jurassic period, this area was a shallow salt water lagoon and a much more temperate climate. In 2015, a study team discovered hundreds of footprints made by plant-eating long-necked sauropods and now we’re standing in the footsteps of these giants, some footprint up to 70cm in diameter. We know we’ve got the right place because there is filming here and the expert attached to the filming team offer to show the prints. The footprints look like large round holes but are in a clear walking line. Sauropods were the early distant relatives of Brontosaur and Diplodocus weighing more than 10 tonnes and 15 meters in length, the largest animals ever to have lived on land, you wouldn’t want them stepping on your toes. I get a kick knowing that these huge beasts walked here, especially great for kids, even those at 47 years old. If you do visit, just consider that these prints have been happily sat there for the past 170 million years, they’ve survived years without interference and they don’t need you hammering and chiselling the ground to try and claim a fossil footprint for your collection. Leave them alone to let others keep walking in the footsteps of dinosaurs.